Are your plants getting strange spots and discolorations? It might be a fungal disease! Here's what you need to know to identify and combat these common diseases. It’s easy to figure out how insects get from one plant to another. But fungal diseases? They don’t have wings or legs. And plants don’t sneeze or shake hands. So just how do these pests move through a garden so fast? Your plants may accidentally drag a fungal disease home from the nursery, catch it on a wafting wind or pick it up from a visiting bug. Keep in mind that some years you may have a serious problem with one of these diseases and other years it stays dormant, just waiting for the right conditions to help it grow. Three things affect the growth of fungal disease. Scroll on to learn more! Pathogen This is the organism that finds a susceptible plant and enters its system. 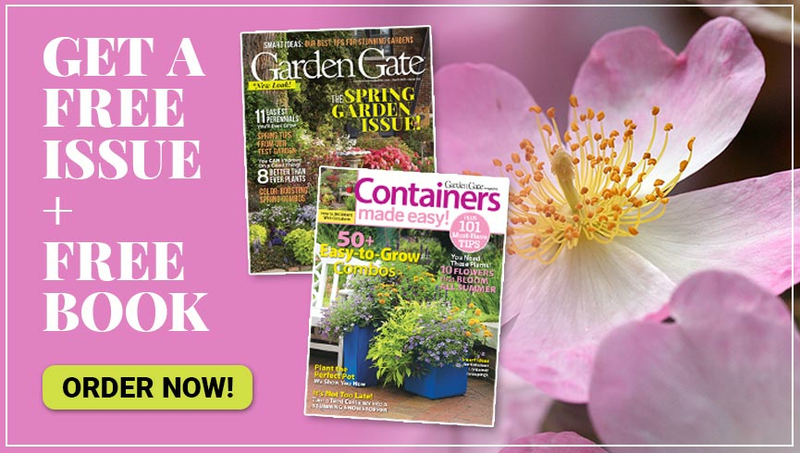 It gets in through a pruning cut, an injury or simply through the leaves, stems or roots. 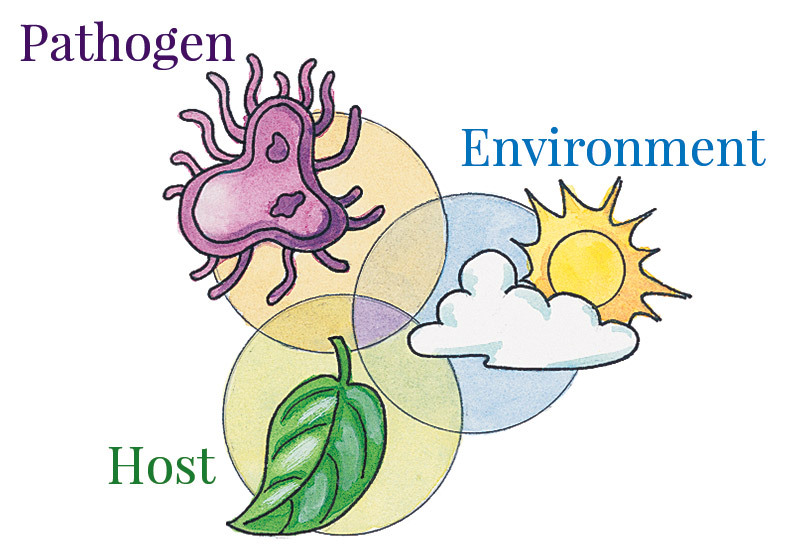 Host The pathogen needs a susceptible plant to grow on. It may be a variety that’s prone to the disease or simply a plant that’s stressed. Environment Just the right weather conditions have to be present for the pathogen to grow and spread. It may need hot, cold, dry or humid weather — it depends on the disease. Disease can only grow when all three of these factors are present. The important thing to remember is that if you can break the cycle by removing just one of these elements, your plants will stay healthy. If you need some immediate solutions, there are some simple home-remedies for fighting fungal diseases. Below we have specific information on each disease. Be on the lookout for: In fall, you’ll spot hard brown galls on twigs of Eastern red cedar. In spring the galls swell, turn orange, as at left, and release spores. When those spores find the foliage of an apple tree in late spring, spots of orange rust, like the ones in the inset, grow on the leaves during the summer. How it spreads: Spores from galls are released in wet spring weather and travel by wind to infect new apple foliage. As they ripen, spores from the apple are then blown back to the cedar to continue the cycle next year. Long-range diagnosis: It’s messy and unsightly. Keep it under control: Don’t plant Eastern red cedars and apple trees in the same garden; grow resistant apple cultivars. If you have susceptible apple trees, spray them with a fungicide as a preventative when the flower buds begin to open. Be on the lookout for: You’ll spot powdery rusty-orange or brown spots, like these on a snapdragon, on either side of the leaf. It’s most common in summer and fall, but can appear at any time. How it spreads: Spores are carried by wind and water to infect plants during humid conditions. 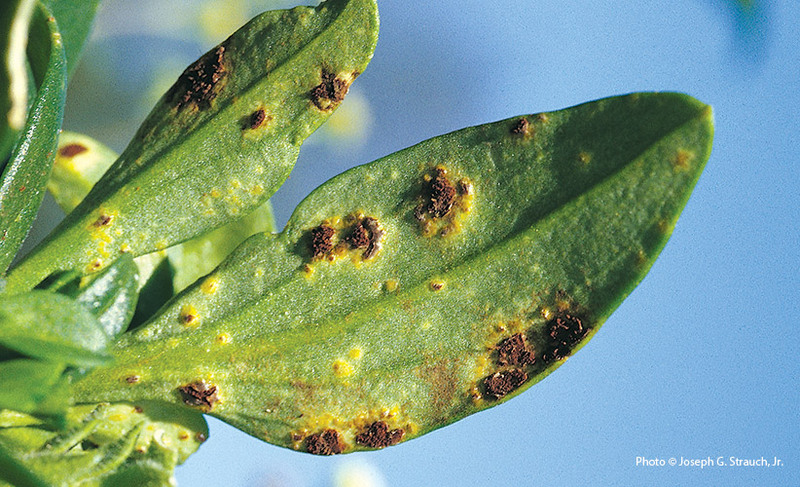 Long-range diagnosis: Rust weakens the plant, reducing flower and fruit production. Keep it under control: Remove and destroy infected leaves. Try to keep the foliage dry when you water and improve air circulation around the plant by removing dense vegetation nearby. 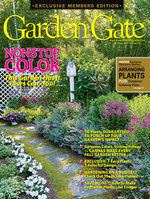 Also, read descriptions to find resistant cultivars for your garden. If you still want to grow a susceptible plant, check with your local garden center for a fungicide you can spray in early summer as a preventative. Be on the lookout for: Usually after a cool, wet spring, you’ll find irregular dark blotches on leaves. Sometimes buds or small twigs will also be infected — symptoms vary with the host plant. Infected parts, especially leaves, eventually drop off. How it spreads: Spores overwinter on twigs, move through the air and begin to grow in cool, wet weather. Long-range diagnosis: Anthracnose rarely kills the tree, but repeated defoliation weakens the plant and makes it unsightly. Keep it under control: Plant trees in sites with good air circulation and prune dense crowns to improve air movement. Keep trees fertilized and vigorous so they can grow new foliage quickly. When choosing a new tree, read tags or ask for resistant cultivars. Be on the lookout for: Small, wet-looking spots, usually in spring, appear on tender new flower buds and blossoms. But it can spread to leaves and stems, as it has on these tulips. Even fruits can be damaged during periods of cool, wet weather. The spots grow larger and are often covered with gray fuzz. How it spreads: Wind and rain spread the spores, which grow best in cool, wet weather. 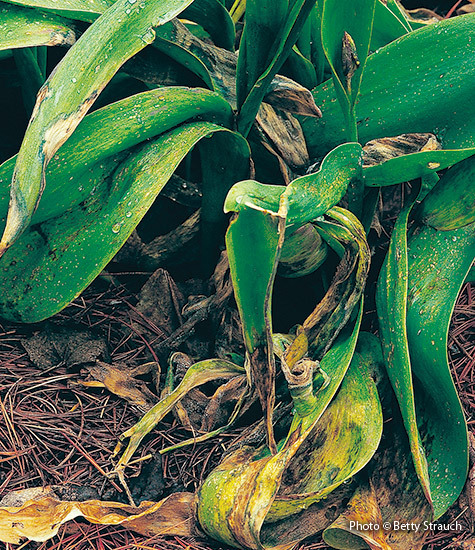 Check these susceptible plants first: Almost any plant can be stricken with botrytis gray mold. Long-range diagnosis: Flower buds don’t open, fruits are spoiled and the plant is weakened by this disease. Keep it under control: Grow plants where air moves freely and don’t wet flowers or foliage when you water. Bury infected plant parts 18 to 24 inches deep — don’t put them in your compost pile. Several fungicides, including Maneb and Dicloran, are effective against this disease. Be on the lookout for: Black spots on leaves and even occasionally on stems. The spots are small in spring but by summer they grow larger, then leaves turn yellow and eventually drop off. How it spreads: Fungus spores overwinter on infected leaves and stems left lying on the ground. Splashing water transfers the fungus to young leaves from spring through fall. Long-range diagnosis: As old leaves drop off, new leaves sprout. Repeating this process weakens the plant, making it more susceptible to other diseases, insects and winter injury. Plus it’s just plain unsightly. 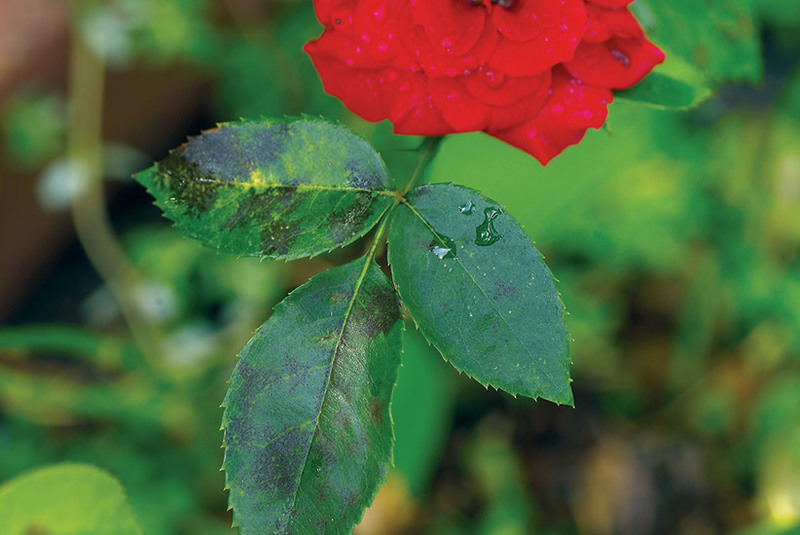 Keep it under control: Search out resistant cultivars; grow roses where air is not blocked by surrounding plants; avoid wetting the leaves, especially late in the day; and remove infected leaves as you spot them. 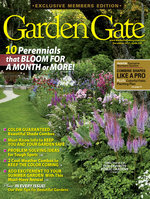 Fungicides from the garden center will help, but spray before you see symptoms. Be on the lookout for: The white granular patches look like dust on stems, the tops and bottoms of leaves and occasionally on flowers and fruit, and can be rubbed off with your fingers. 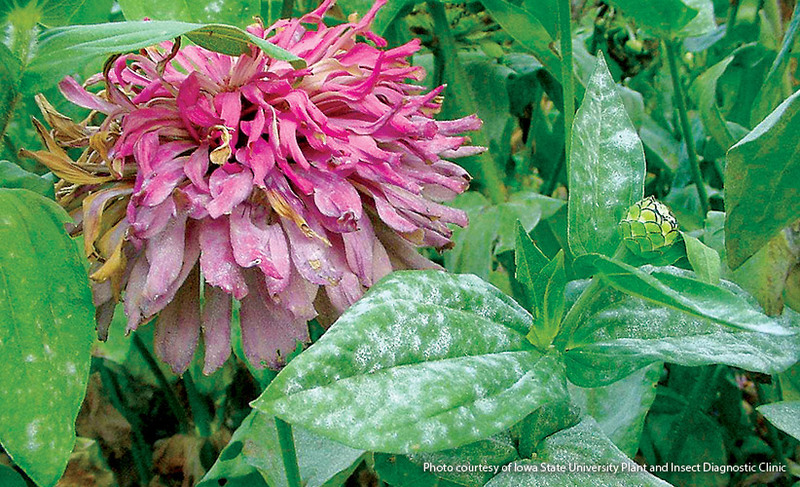 You’ll find powdery mildew any time during the growing season wherever susceptible plants are grown. How it spreads: Spores of powdery mildew move by air. 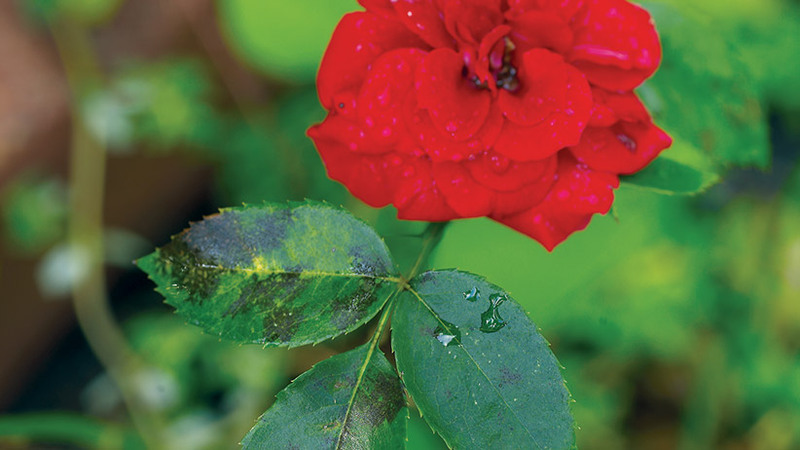 Long-range diagnosis: Powdery mildew won’t kill a plant; it only affects the appearance. Keep it under control: Plant resistant varieties. Keep plants healthy and well watered to avoid stress. Always provide good air circulation around susceptible plants. Apply potassium bicarbonate fungicides and horticultural oils before you find mildew or spay them to keep the problem from spreading to more leaves or other plants. Be on the lookout for: Yellowing foliage and mushy stems appear just above the soil line. It can start any time during the growing season, but it’s most prevalent during hot, humid periods. 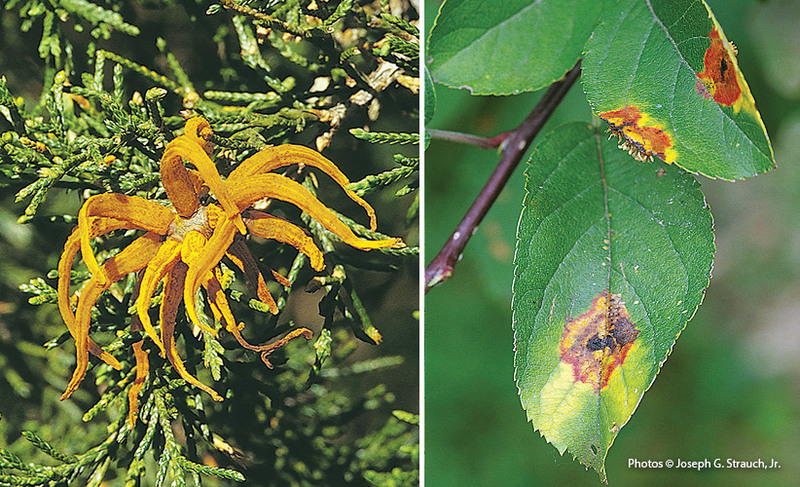 Once called Southern blight, this fatal rot is now spreading into much of North America. How it spreads: Crown rot organisms live near the surface of the soil, waiting to enter a plant and destroy the tissue. 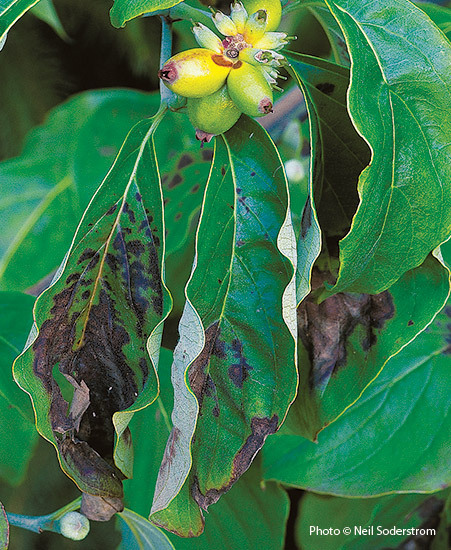 Long-range diagnosis: It kills the plant if it’s not stopped, and can become a permanent problem in your garden. Keep it under control: Dig infected plants and remove the top 12 in. of soil. Bury everything in a hole several feet deep to keep the spores from spreading. Never add infected plants to your compost pile. 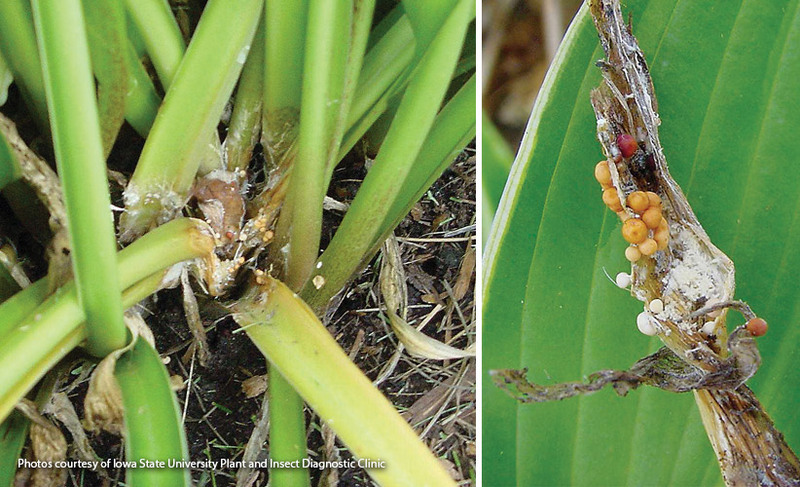 One fungicide, Terrachlor®, may save infected plants if it’s applied before the entire crown has rotted.